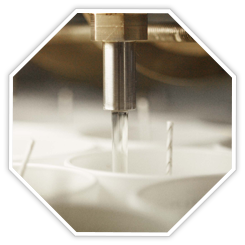 The story of Carrière Frères naturally follows that of the Royal Wax Manufacture, known today as Cire Trudon. In 1884, the Carrière brothers decide to buy the manufacture: passionate about historical savoir-faire, they have in mind to modernize it. 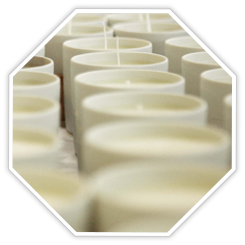 Respectful of traditions, they first embrace the century-old heritage of master candle makers established in the 17th and 18th centuries. Then, eager to innovate, they create Carrière Frères in 1889: under this new entity, their curiosity and entrepreneurial spirit will thrive. At the end of the 18th century, the industrial revolution is well under way: albeit the stream of modernizations and an increased access to electricity, the brothers manage to keep candle-use alive and creative. Ingeniously, they extend their religious use to include candles as decorative objects: a new generation of pillar and taper candles are placed on diner tables or favored during festive evenings. As early as 1889, the brothers are awarded a golden Medal at the Universal Exhibition for their vision and craft. Manufactured in the Cire Trudon factory, the Carrière Frères line has since been at the crossroads when it comes to respecting ancient savoir-faire, embracing modernity and building a legacy. Following the highest standards, Carrière Frères constantly innovates to source only the best ingredients. 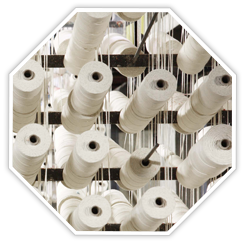 Opting for sustainable products and a creative approach, each element of the mix is chosen to minimize the environmental impact without compromising on the product’s aesthetics or sensory attributes. Carrière Frères composes its perfumes with the help of the Robertet Group, a world leader in the sourcing of raw materials: through them, a unique palette of natural elements is available to create original perfumes. Favoring only the utmost quality also means respecting a global CSR policy. Raw materials are either ethically bought from a cooperative, support sustainability programs or organic agricultural practices. For each botanical essence, the process is specific, responsible, sustainable and ethical. The containers also respond to a virtuous and transparent approach: recycled glass, packaging in FSC cardboard, 100% natural alcohol, untreated rattan sticks, cork top, each component is chose to reduce the brand’s overall impact.